Care for an Everead Email? Announcing an Everead email newsletter! 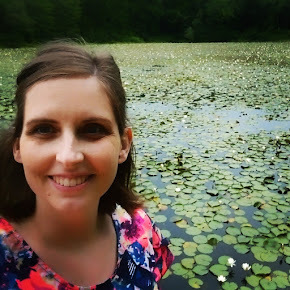 Perhaps you have seen the invitation in my sidebar to join my new email list. I hope you sign up! I'd love to be in touch with you through email. I don't plan to bombard you, I promise. In fact, I don't think I'll be emailing every week. I plan to use the email list to connect better with you and also toss out some more book recommendations. Feeling connected to fellow readers is one of my favorite things about Everead. And so much good reading-related stuff enters my consciousness but doesn't necessarily end up generating a blog post in and of itself. Basically, signing up for the email list will be a great way for you to get more good books on your radar without any extra effort. It will be a great way for me to know who is into Everead and what they (you!) want to get out of it. Plus it will give us a good excuse to email each other. So, what do you say? You can sign up using the bar up top, the form below, or by following this link. If all else fails, leave your email address in comments. I just finished reading March: Book One. It was a good, solid graphic novel. I'm not huge on reading about the Civil Rights movement right now -- mainly because I feel like so much of the literature about the movement is meant to make readers feel sick. Feeling physically ill from reading the horrific details is not my idea of a good reading experience. I do think, for the record, that we all need to feel sick and disgusted about the wrongs that occurred during the movement. We need to learn about the past and feel it. But, I don't support guilt-tripping and sensationalism, and it is a very thin line to walk. Probably some things that cross the line, in my opinion, don't cross the line in the opinion of others (and vice versa). Anyway, all this is to say that I thought March: Book One had a really good feel about it. 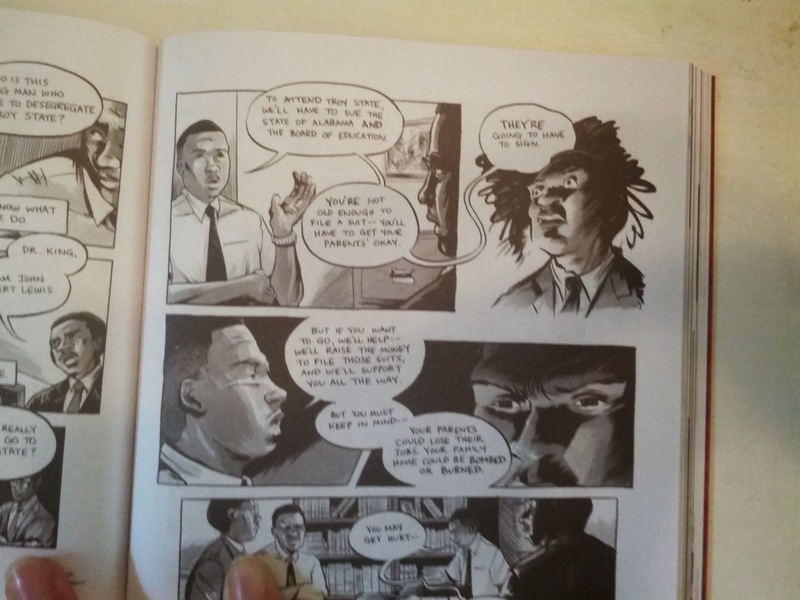 Unlike some civil rights books, March: Book One recognizes how far we've come. Granted, if a book is set in the past, it is not permitted to recognize what has happened after its narrative arc. But with March, the narrative skips back and forth between the present day and the past and manages this with notable clarity. The authors did a good job keeping thoughts connected and making transitions smooth. 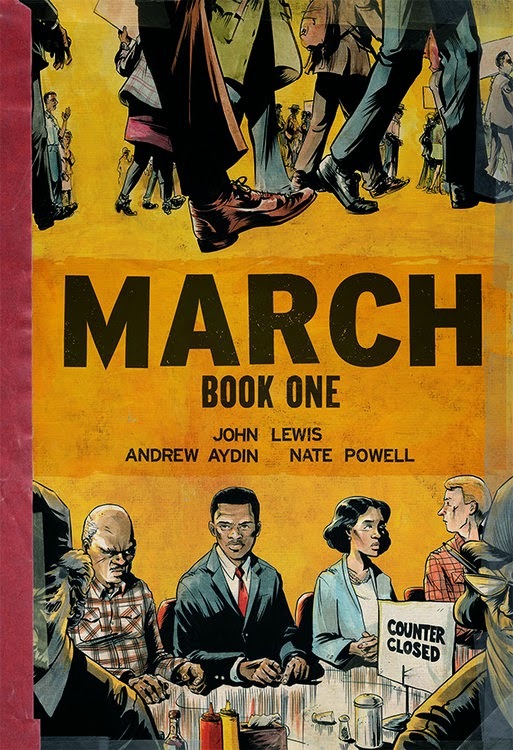 March: Book One did not ignore the horrible treatment and danger that protesters faced, but it focused more on non-violent protest than any other book I've read about the civil rights movement. Protesters' plans for non-violence were detailed and laid out in both images and words. At one point John Lewis writes, "Our numbers were multiplying so fast that hundreds of volunteers had not yet been trained in the way of nonviolence, so I wrote up a basic list of "Do's and Don't's" to be distributed." I got chills reading that list. The book is an autobiography of John Lewis, who was a prominent player in the civil rights movement. Congressman Lewis also spoke at the March on Washington, where Dr. King gave his famous "I Have A Dream" speech. He co-wrote March: Book One with Andrew Aydin and Nate Powell has illustrated. His face is still, but the abrupt changes in lighting, angle, and background all pack a punch. I was pleased at how easily I recognized Martin Luther King Jr. So, I wasn't always planning to read this book. But then I figured out I had moved to Atlanta (home of a lot of civil rights history, and The King Center) and that it was the 50th anniversary of the March on Washington, and I wanted more education. When other reviews were nothing but positive, I decided to risk it; I requested a review copy from the publishers, which they sent. I'm glad I read March: Book One. I'm looking forward to the next volume* -- and I expect there will be chickens in it. 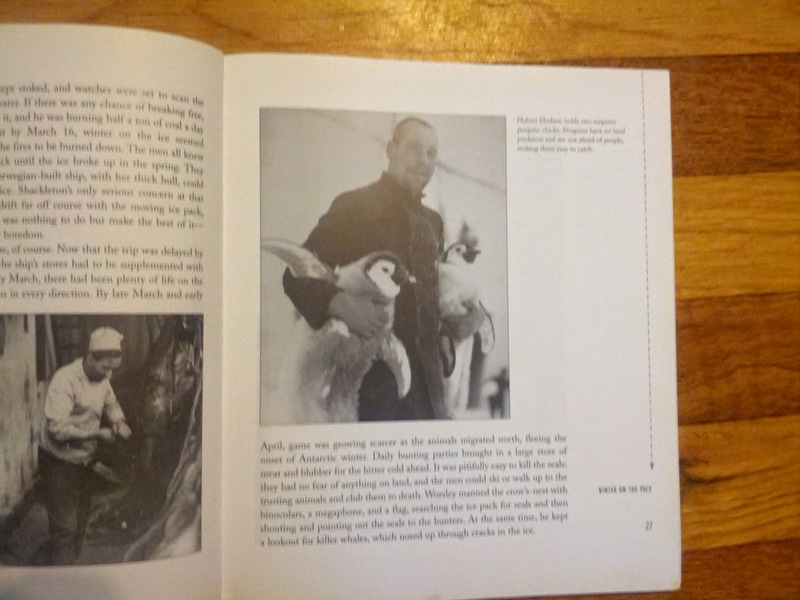 There was too much background about John Lewis's childhood love of raising chickens for there not to be chickens in the following volumes. 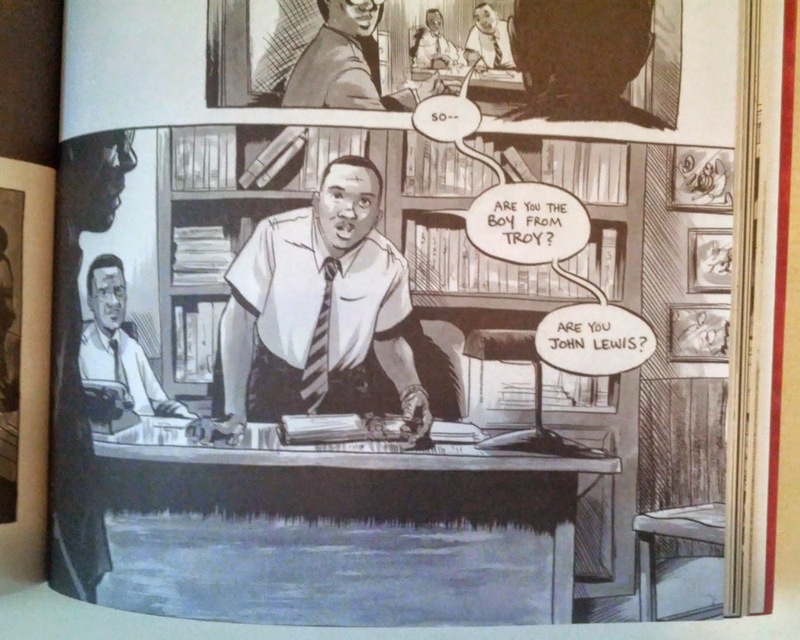 This is the best graphic novel about the civil rights movement that I've ever read (yes, I have read more than one). There was another good one a couple years back, but its tone was too "textbook" for my taste. If you'd like to purchase March: Book One, here is my Amazon affiliate link March: Book One: 1 (March Trilogy) . If you make a purchase after clicking through, I will receive a small commission at no extra cost to you. March: Book One is solid for ages 12+, in my opinion, and I also recommend Claudette Colvin: Twice Toward Justice (my review of that is here) for that age group. A couple other recommendations are included in that review. Check it out, then tell me: what are your favorite books about civil rights? *update 1/16/17: Volumes 2 and 3 of the March series are also really well done. Each one is successively longer, and volume 3 contains some swearing, unlike the other two volumes. Overall, a great series. It is summertime! As my dad always says, "School's out! School's out! Teacher let the mules out!" Few things are more stubborn than your own child when you want him or her to behave in public. Am I right? 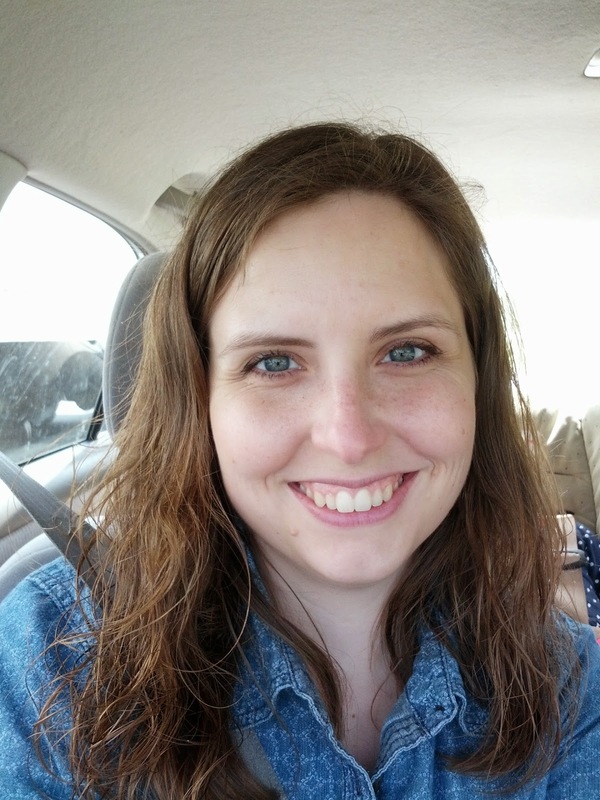 As I prepared for the end of school, I will admit: the thought of running errands with all three of my kids (ages 5, 3, and 1) was somewhat daunting. 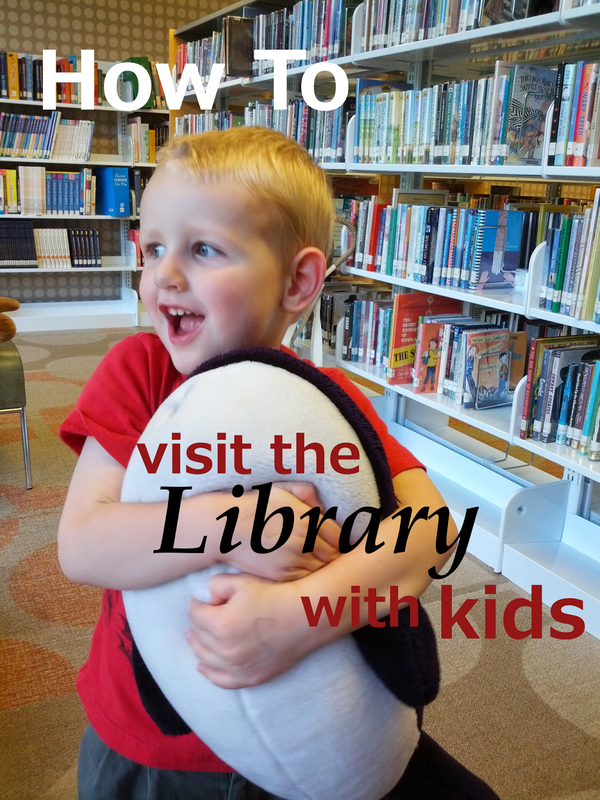 Fortunately, I have developed myself a system for visiting the library with kids. Here is how it goes. Order books I want (for myself and for the kids) through the online catalog. Gather all library books that are due. Walk in the library doors. I know when I do this I have 5 minutes tops that my kids are going to be willing to stay quiet and by my side (I'm probably carrying the baby). 1. First stop, book drop. Gotta get rid of the books that are already in my bag, and avoid library fines! One time I didn't turn in our books very first. I ended up lugging them around all over and forgetting to turn one in. That's never gonna happen again. 2. Next, pick up holds! My library has a hold shelf I can just walk up to and get my holds. This is always my second stop because it is located in the main area of the library (read: where my children are expected to behave themselves.). At a previous library holds were kept behind the desk, so I would pick them up at checkout. But where I am now, getting my holds first and loading them into my bag helps me know how many books I've already got. It has happened to me before that I've loaded myself down with books, only to have to stop by the hold shelf and pick up so many more that getting to the car is far too hard. 3. Beeline to the kids' section. Here, we browse! We play. We read to each other. 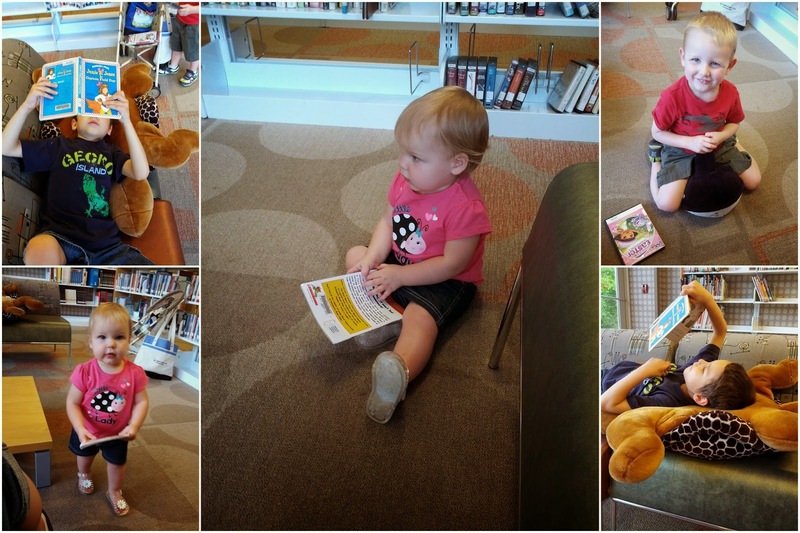 If we happened to get to the library at the right time, we attend story time. I know it's time to leave when a) my large book bag is full OR b) the kids are ready to nap/eat/meltdown. 4. Check Out. I like to check out as quickly as possible. Sometimes this means using the self-service checkouts, sometimes it means letting the librarian help me out. Either way it means having my card handy and/or my card number memorized. We've got a library card key fob, and that is my typical choice these days. If I do these steps out of order, it just doesn't work out well for me. If we go the the kids section first, then getting my kids back into "follow mommy closely" mode is so difficult. If I check out and then we go back to playing, we inevitably find another book we HAVE to get and therefore we have to check out again (and now the line has gotten long, of course!) and the kids are sick of it. A couple of weeks ago, we had to deviate from the formula twice in one trip (for a potty break and to sign up for summer reading). Disaster, I tell you. So. This is my tried and true method. Is this helpful to you? Do you have your own pattern of behavior at the library? Do tell! After you comment, you might like to revisit How Do I Make Reading Fun? or 10 Books to Read to Kindergarteners. Happy Reading! Hi y'all---Ashley here. It's been a while since I last posted. Moving across the country can throw one's life a little out of balance. But I wanted to jot down some thoughts about a series I recently finished reading. You'll probably recognize the covers; they are gorgeous. America Singer lives in a post-apocalyptic United States. Her society is divided into castes, and her family is near the bottom, though one caste higher than the love of her life, a close neighbor named Aspen. They meet secretly, because any kind of relationship outside of marriage is forbidden. If they did marry, America would be brought down a caste to Aspen's level, a fact she tries not to care about but which Aspen can't forget. When a nationwide Selection is announced, he makes America enter---a selection that will choose 35 candidates from across the country to compete for Prince Maxon's hand in marriage. 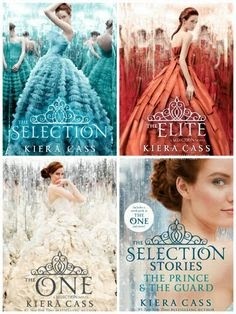 When America is chosen to be one of the 35, she has to work through her secret feelings for Aspen, who eventually joins her at the palace as a guard, further complicating her situation, while she gets to know and fall in love with the prince. *note from Alysa: The first book costs $5.23 at Barnes and Noble right now! If you use this affiliate link to make a purchase, Everead earns a commission at no extra cost to you. Aaanyway. This is an amazing, unforgettable story. Polar explorer Sir Ernest Shackleton and his crew set out in the Endurance, hoping to use dog-sled teams to be the first to cross Antarctica over land. They left in 1914 -- before reliable radio (or any other long-distance communication) was available to them. 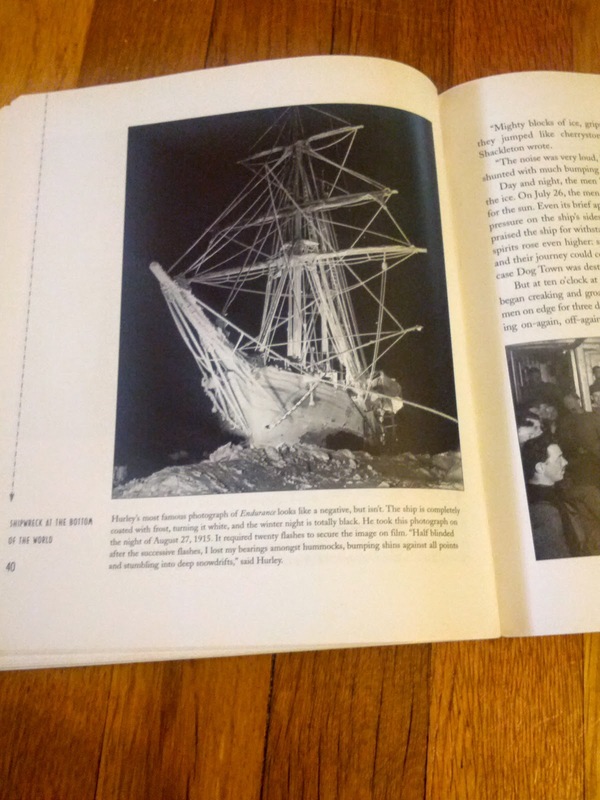 Tragically, the ice was so thick that summer in the antarctic that they couldn't even make it to land. Not only were they trapped in ice for an incredibly long time, but then they had to abandon ship, and, like, do tons of other amazing and scary stuff that is too amazing and scary to be described in simple terms here. But here's the kicker (and I can tell you this because it's on page 1 of the book): they all survived. It's nuts! I was hooked on this book from about page 10. Once the voyage was underway, I was invested. It was definitely one of those nail-biting, "I have to finish this ASAP!" books, and I accidentally told Jacob all about it while we were driving him to work. Not only is the writing great, but there are pictures. Like, actual, from-the-voyage pictures. A photographer accompanied the explorers, and he was a good photographer. The photos are black and white, of course, and just breathtaking. It hurts my heart a little bit right now to remember the part where the photographer had to go in and choose which photos he was going to keep and which he would smash to pieces. Packing light had become paramount, and he didn't trust himself to leave the plates behind if they were intact. 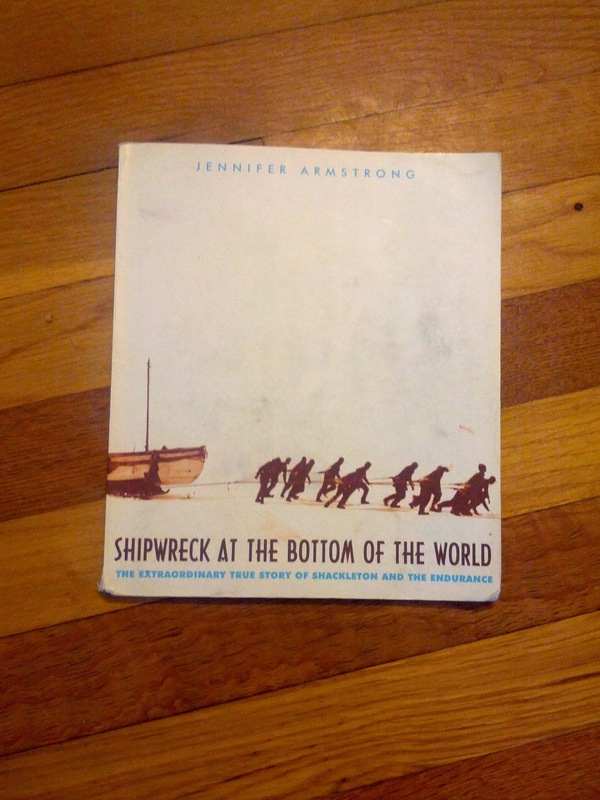 I definitely recommend this one to fans of survival stories -- but not just those. It's also really good writing and a really engrossing story. When I tried to read it aloud to the boys (ages 5 and 3) it couldn't hold their interest. (I'm putting that down to high vocabulary level and complex sentence structures.) But, when I was done explaining the book to Jacob in the car, Benjamin said, "I guess that book does sound good." I don't even know what younger-age limit to put on this book. 8? 10? Whatever. Adults can enjoy it easily and not feel like the story has been watered down at all. I'm glad I own this one -- I had a feeling I should move it across the country with me! It's nice to have it in what I call "the permanent collection." Have you read it? Does it sound good to you? If you'd like to buy this book from Barnes & Noble, click the image above. I can't think of a time in my life when I didn't love to tell stories. Whether I was telling a joke, singing a song, acting something out, writing it down or just plain talking, I've always loved telling stories. I love to tell stories with my kids at bedtime, and so does my husband Jacob. But we didn't always tell bedtime stories. It all started at one particular family reunion. At this reunion, Benjamin and a whole gaggle of his cousins were treated to bedtime stories by Grandpa Craig several nights in a row. He really made these stories special. He told old stories that he had told Jacob and his siblings when they were young. He told new and goofy stuff he made up on the spot. And he had props! I remember one night he gave each of the grandkids a flashlight they were supposed to turn on and off at certain times. 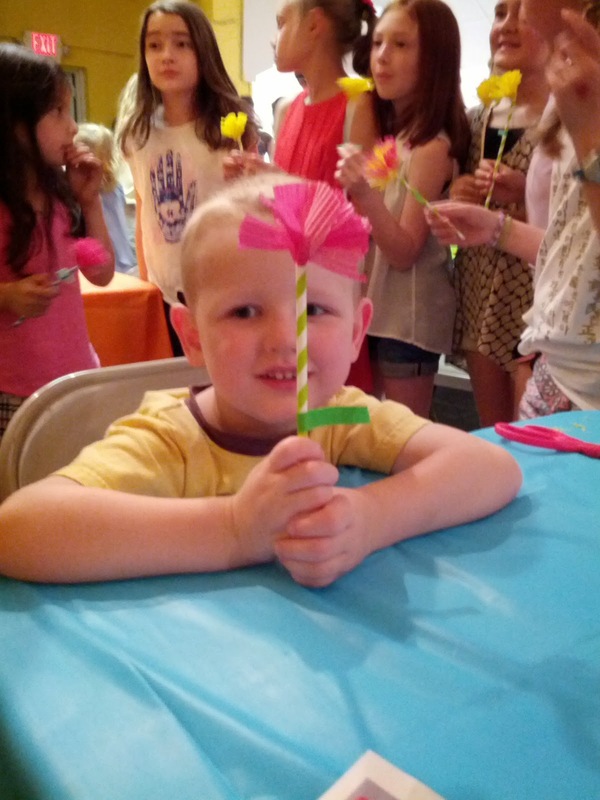 As you might imagine, the kids got more riled up than ready for bed; they had so much fun. Benjamin loved it! And man, was that a rough time in the bedtime chronicles. He was about three years old. Anyway, Grandpa's stories were such a hit with him that we decided to keep a story before bed as the perfect bribe. "If you are in bed, ready to sleep at bedtime, you can get a story!" In the years since this reunion, our routine has morphed. The boys now start off with two bedtime stories as given, but can be penalized for not getting in/staying in bed. And that is how The Bedtime Story became a thing at our house. Stories from "when I was young,"
Stories from "when you were younger,"
How about you -- do you tell bedtime stories? Did you get told them as a child? If yes, what are some of your favorite story-starting ideas? If no, why not or do you wish you had had bedtimes stories? Please share so we can ALL benefit from your experience! This post is a response to Janae's post about creating a literacy rich home over at Bring Joy. Janae talked about buying used books, new books and using the library to build your home library. She mentions some of her favorite places to buy books. I once found Shark vs. Train at a yard sale. I would like to add to that list. First off, garage sales are also a great place to find books. I often like to glance through what's offered at a garage sale and pick out books that I consider gems. I never buy anything at a garage sale that I might read someday. I buy the ones that I know I love and I can't believe someone else is selling for so cheap! Buying from physical bookstores supports bookstores, authors and publishers. Buying online from a retailer that has physical stores (like Barnes and Noble) helps support the existence of physical bookstores in general, but buying in-store helps support the specific store you're in. Trust me, the loss of a bookstore in your town is a tragedy. About a year after we moved to Illinois, a local independent bookstore that had been open for more than 20 years closed down. I had had just enough time to fall in love with the place, and driving by its empty shell brought literal tears to my eyes for at least six months. (After that, the tears dried. But there was still such sadness in my heart!) And do you know what kills me? Five years later, no one else rents that space. It's such a shame. How many more books would I have paid a little bit more for, if I had but known? And let's not even go into the fact that when Borders went under, their space was taken by a liquor store. 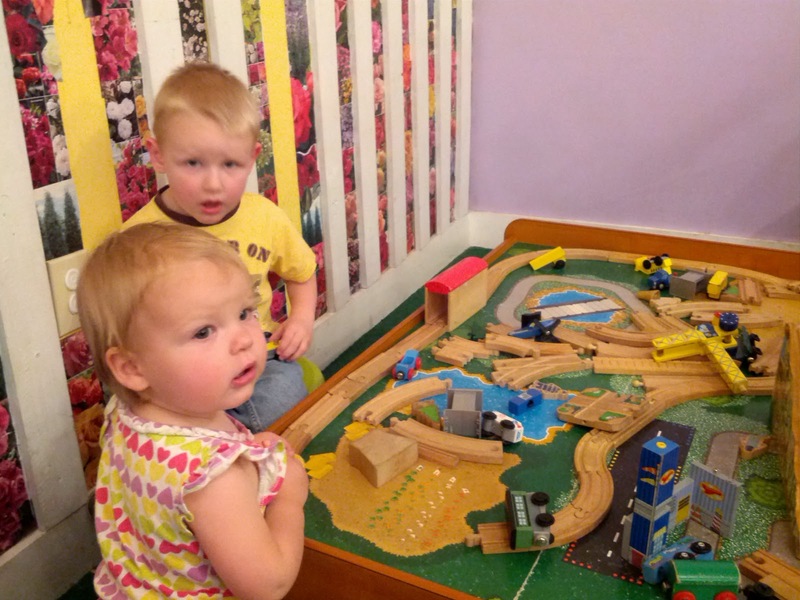 It was utterly depressing to me, as a teetotaler, that the place where I was accustomed to taking my children to play while I browsed was now so useless to me. You can't buy quality children's literature (or play at a train table) at a liquor store. Yay for bookstores with train tables! plus also bookstores have author events! Amanda Kingloff taught the boys a craft from her new book, Project Kid. What are your favorite places to buy books? Remember when I said I wanted to see the looks on my kids faces while they watched a Buster Keaton film? Well, I've seen some of them now, and I have one word: priceless. A little bit of backstory: We wanted to do something to celebrate the last day of school. 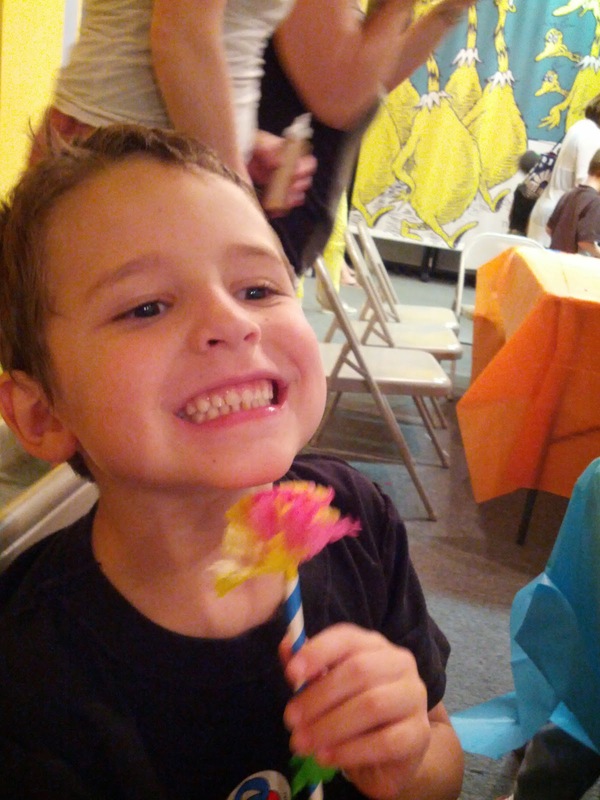 (Benjamin's first ever last day of school!) Our plan was to have a family movie night and watch The Lego Movie, which we have heard so many good things about. But it turned out that it wasn't available to rent yet. While I was determining whether or not we could rent the Lego movie, Levi and Jubilee went to bed. I had mentioned to Jacob earlier that I wanted to watch The General with Benjamin, so he turned it on. Unfortunately, Benjamin was still dead-set on the Lego Movie; and, he couldn't quite grasp the concept that it wasn't available yet. So he began watching The General with a bad attitude -- whining and begging us to turn it off. That only lasted the first 5 minutes or so. I can tell you for certain that he was squealing in delight by 11 minutes in. Benjamin loved the physical gags that Keaton is so famous for. I appreciated the drama of the situation: our hero is a railroad engineer, visiting his sweetheart in Marietta, GA. Just as the two lovebirds are cuddling up on the sofa, the Civil War breaks out. Johnny goes to enlist in the confederate army, but is rejected by the army and doesn't know why. His girlfriend is misinformed and believes he never tried to enlist -- the relationship is on the rocks. Well, of course he goes on to be a hero in the war effort and make amends with his love. The whole movie builds toward a spectacular train wreck -- literally. It's a great movie to watch now -- I can only imagine how awesome it was in 1926, when it was released. The stunts are thrilling and funny: I admit to exclaiming in alarm at one of the stunts Keaton does. The dialogue was great. "Wait . . . what? I thought it was a silent film!" you say. It is. But I about died laughing at the line, "If you lose this war, don't blame me!" We were reading the title cards to Benjamin of course. He is a good reader these days, but reading them out loud was a way to get him engaged early on when he wasn't so thrilled to be watching. It also helped that the film was set in Georgia, and that we had driven through Marietta only days before. How cool is that?Occasionally we narrated the action for Benjamin, but not much once he got into it. In short, this was a great family movie, made even more fun by my having read Bluffton, by Matt Phelan. We totally loved it! Have you seen The General? What are your favorite old films? I'd love some recommendations.